The Volkswagen emissions cheating scandal is about to take center stage before lawmakers on Capitol Hill. Michael Horn, the head of Volkswagen in the U.S., will field questions Thursday from lawmakers demanding answers. A House committee will also hear testimony from the Environmental Protection Agency, the agency that last month slapped the German automaker for using software to trick emissions tests into believing VW diesel cars were complying with the Clean Air Act. In fact, the cars were spewing as much as 40 times the emissions allowed. In prepared testimony released in advance of Thursday's hearing, Horn said he first learned of "possible emissions non-compliance" in 2014 and was told Volkswagen engineers were working with regulators on a solution. But it wasn't until last month, Horn said, that VW informed the EPA that it had installed "hidden software" to get around emissions standards. "These events are deeply troubling," Horn said. "I did not think that something like this was possible at the Volkswagen Group. We have broken the trust of our customers, dealerships, and employees, as well as the public and regulators." The EPA ordered Volkswagen to recall nearly 500,000 cars in the U.S. to ensure they comply with emissions standards. The company has said as many as 11 million vehicles worldwide might be affected by the scandal. 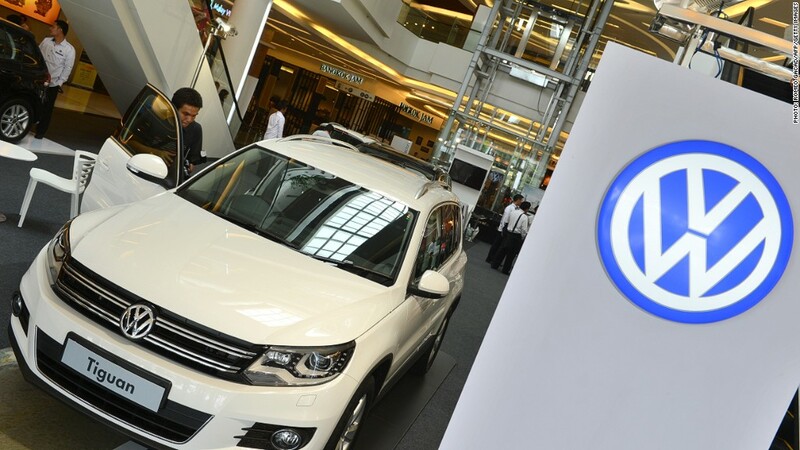 VW said Wednesday it plans to start recalling diesel cars in January. Christopher Grundler, director of the EPA's office of transportation and air quality, will testify Thursday along with Philip Brooks, director of an EPA office charged with enforcing air standards. "These vehicles are emitting more nitrogen oxides, or 'NOx,' than regulations allow," according to the testimony. "Exposure to these pollutants has been linked with a range of serious health effects, including increased asthma attacks and other respiratory illnesses that can be serious enough to send people to the hospital." In prepared testimony, they said the EPA is working closely with the U.S. Department of Justice to figure out "potential penalties and other remedies" to impose on Volkswagen. They said the EPA will determine not only the scope of VW's violations of the Clean Air Act, but also what "economic benefit" the company gained by cheating. The two officials did not disclose details about the status of their investigation. Volkswagen has set aside $7.3 billion to cover the cost of the scandal, but most analysts expect that number to multiply rapidly. The scandal has already brought about change in how the agency goes about conducting vehicle emissions tests. On September 25, the EPA notified all auto manufacturers that it was stepping up its testing activities.